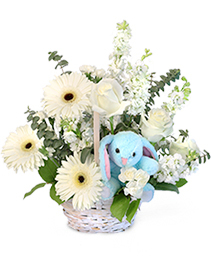 These sweet bouquets are perfect for welcoming a new bundle of joy. 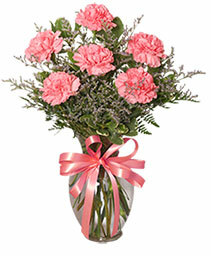 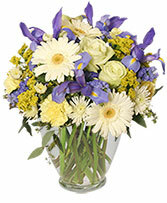 Let RIVERVIEW PLACE make this special flower delivery, along with your warm congratulations for family and new baby too! 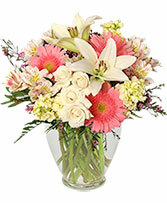 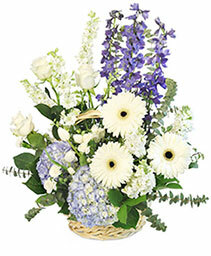 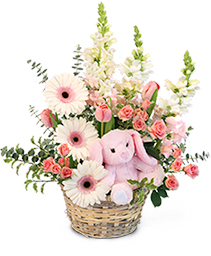 Call direct to send flowers for a new baby or order online 24/7. 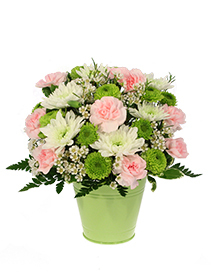 Pops of pink mini carnations and white cushion poms stand out from green button poms in this cheerful arrangement. 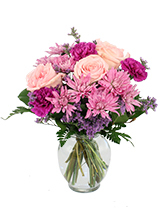 Show your appreciation with fresh flowers that are sure to make them smile! 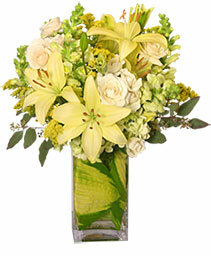 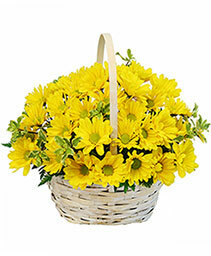 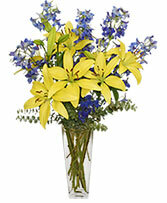 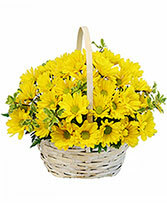 Call us at RIVERVIEW PLACE or order online flowers now.